Motorcyclists who are well trained on how to ride and care for their bikes are statistically less likely to be involved in motorcycle accidents than riders who are self-taught. Training and experience may help you respond to a dangerous situation in time to avoid a collision. Your best protection against a serious injury in a motorcycle accident will be your helmet. Helmets for motorcyclists are like seat belts for drivers. Wearing a helmet is a simple way to reduce the likelihood that an accident you are involved in will be fatal. Wearing eye protection is also important. Wind and glare can reduce your ability to see and respond to an obstacle in your path. Gloves, appropriate footwear, leg guards and jackets limit abrasions when accidents do occur. 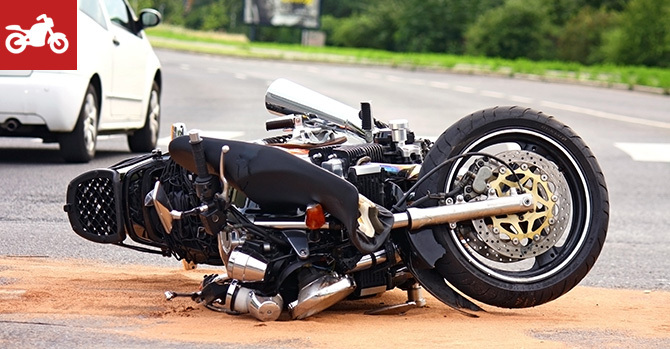 Despite preventative actions taken by motorcyclists, accidents still occur, and the losses can be significant. The financial burden incurred through motorcycle accidents can be particularly great due to lost wages, expensive medical bills, and, potentially, occupational therapy. To add to the losses, the bike may be irreparable. At Danno Law Firm, P.C., we are committed to helping people in need. If you have been injured in an accident let us help you get a fair settlement for your injuries. It won’t cost you anything to call us and find out how we can help you. We also assist in probate matters. We are easy to talk to and have probably handled a case similar to yours in our 26 years of experience.